Online startup, StageofLife.com, grew its unique user website traffic by 30% in Q1. The award-winning educational online blogging community welcomed 154,463 unique users Jan - March of 2014 verses 118,013 during same period in 2013. With another increase in quarter-after-quarter website traffic, StageofLife.com, an online community of teens to Baby Boomers, announced its 12th consecutive quarter increase in visitor growth. Specifically, the award-winning online community site welcomed 154,463 unique users Jan - March of 2014 verses 118,013 during same period in 2013 - a 30% growth from last year's visits. Launched in 2009, the website was created to give people who love to write a chance to share their stories about their experiences and opinions on life in a collaborative, multi-generational blogging community. Based on current traffic patterns, the startup is expected to welcome its 2,000,000th session visit before December. While hundreds of thousands of people visit StageofLife.com each year to read the stories and essays appearing on the site, it's the 12,000+ contributing bloggers and writers who are driving the evolution of the online community. While the site sees its share of Gen X and Baby Boomers bloggers contributing posts and essays, the vast majority of its writer members are high school students and college bloggers. The site has been adopted as a Language Arts resource by teachers from across the country as a venue to extend writing outside of the classroom. This has has generated much of the growth amongst teens and college students ages 14-24. This adoption of Stage of Life by the Gen Y writing community has pushed high double digit and sometimes triple digit growth in annual site visitors for the last four years. In the last six months, StageofLife.com has experienced nearly 300,000 unique visitors who have viewed over a half million pages as they come to the site to read the essays, view StageofLife.com's proprietary statistics and teen trend reports, writings contests, Twitter contests and use the coupons and discounts from Stage of Life's own My Life Rewards® program – a collection of exclusive discounts and coupons at some of the nation's best merchants including Lenovo, Papa John's, Precision Tune, GH Bass, Motel 6, and other brands working directly with StageofLife.com to support its growing online community. “I am proud of the 12,000 Stage of Life members who have contributed their thoughts and words as we grow to change the world, one story at a time,” says Rebecca Thiegs, Vice President of Education for Stage of Life. With the variety of educational writing resources StageofLife.com provides, teachers have the opportunity to share exciting new writing activities with their students to promote writing in a positive way. 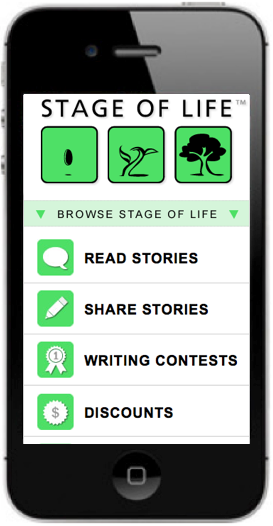 For example, for the last three years, StageofLife.com has hosted a monthly international writing contest which has drawn the attention and participation of professionally published authors who donate personally signed copies of their books as prizes for StageofLife.com to reward winning teen essay winners. “People want to share their life stories," says Eric Thiegs, Founder and CEO of the startup. "And it’s exciting to see that it is working. New people every day are signing up to write, blog, and tell their personal stories on the site...we're all helping to make a positive difference in the world." Stage of Life uses eight different social media platforms to keep in touch with its fans, visitors, and increasing blogger members, including a weekly email Newsletter, Facebook, Twitter, Instagram, and Pinterest pages. StageofLife.com is a privately held startup company founded in 2009 by Minnesota natives, cousins and entrepreneurs, Joseph and Eric Thiegs. 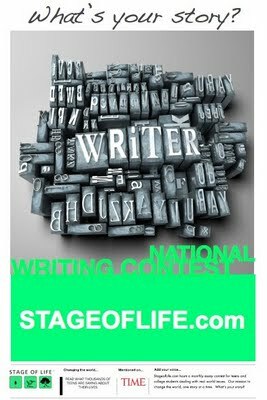 As an online writing community, StageofLife.com is home to over half a million teen and teacher visitors each school year, 5+ million uploaded words, and thousands of submitted essays. It is becoming the world's largest collection of multi-generational stories and resources tailored by life stage ranging from statistics to etiquette advice to coupons. The site's featured writing resources include writing contests, blogging tips, Language Arts lesson plans, goal setting worksheets, homeschool resources, writing prompts, and more.